This image is from the afternoon of 5/21/18. 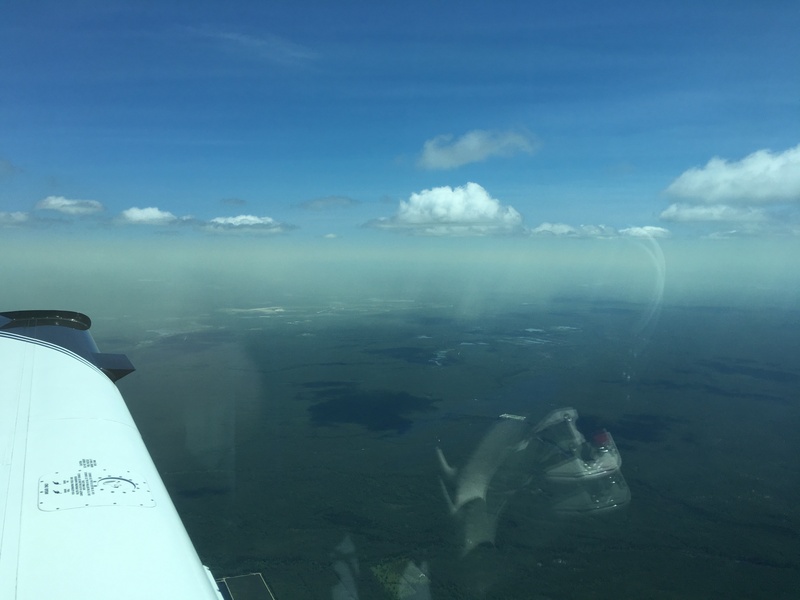 I’ve been flying since 1973 and this is the first time I’ve seen this much pollen or any while airborne. I heard a pilot on the frequency speaking to ATC and he mentioned flying through it and coughing & sneezing. As I flew south at 4500’ between McGuire Airforce base and Atlantic City NJ I saw it. I stayed to the west of the bloom. The day was beautiful VFR (visual flight rules) with a few scattered clouds.